The 2017 Singleton 5K & 10K is the 3rd event in the 2017 Atlanta Track Club Grand Prix Series presented by Piedmont Healthcare. 10K runners must complete their first loop by 8:30 a.m. in order to continue on to the second loop. 10K participants who do not finish the first loop by this time will be disqualified. If you would like to switch distances between the 5K & 10K, please email [email protected] by 11:59 p.m. on Thursday, April 13th. You can also change distances on race day at the Race Day Registration table. All changes must be made by 7:00am on race day. Participants who switch distances mid-race will be disqualified and removed from results. 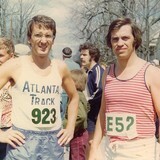 The Singleton 5K & 10K is the third event in the 2017 Atlanta Track Club Grand Prix Series presented by Piedmont Healthcare. 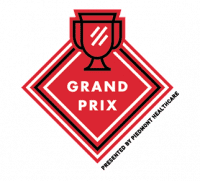 For more information on the 2017 Grand Prix Series, please click here. Please note: Your age on December 31, 2017 is used as your base age for Grand Prix scoring. For example, if you are currently 34 years old but will be turning 35 in November, your age will appear as 35 in the standing throughout the Grand Prix season.